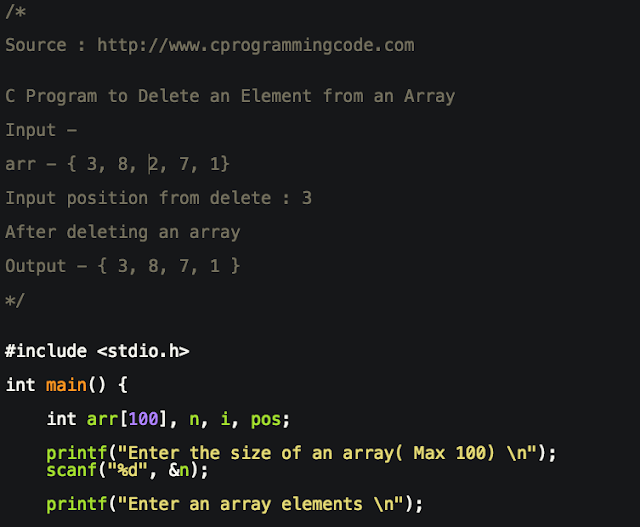 Write a c program to delete an element from an array at specified position. 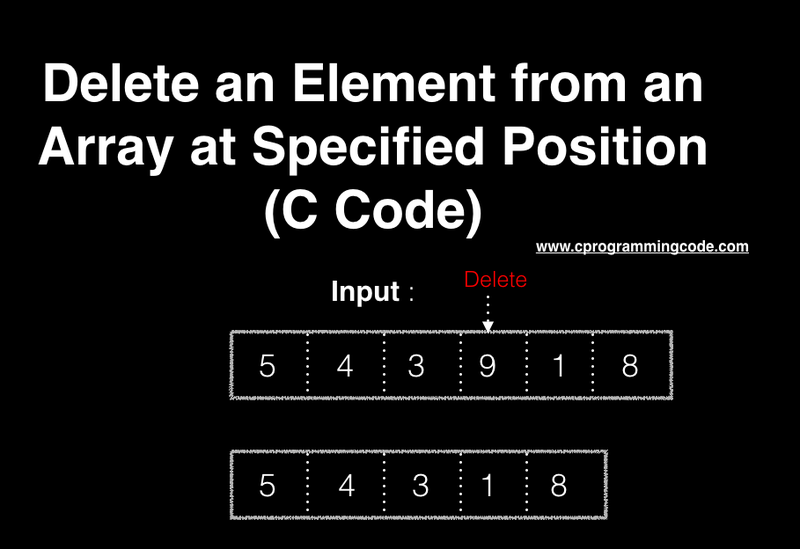 In this program, we take an input array and position to delete an array element from a user. Then we check whether a position entered by user is valid or not. All elements of an array are stored in a contiguous memory location. To delete an element at index i in an array, We have to shift all elements from index i+1 to i to previous index. For example - Take an array of length 5 and suppose we have to delete an element at index 3. To delete an element, we have to move element at position 4 to 3 and position 5 to 4. Then we can decrement the size of an array. We have discussed how to delete an element from an array. 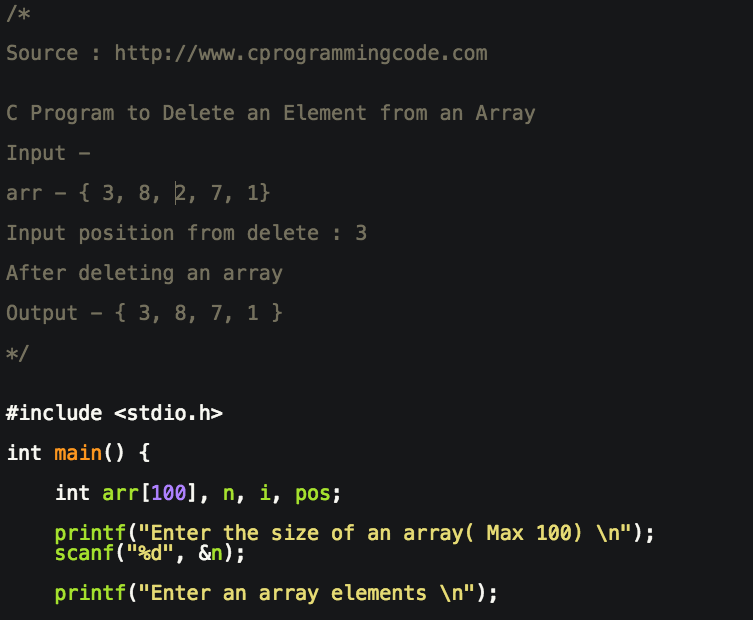 Let's write a c code to delete an element from an array.